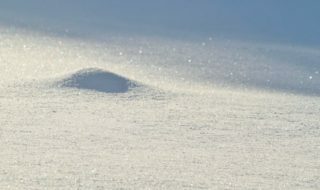 Working in the garden brings people out into the great outdoors, making them more appreciative of nature’s fragile beauty, yet all too often, the garden tools and equipment that they use are not friendly to the environment. To ensure that nature’s beauty is there to enjoy for generations to come, many gardeners are seeking out eco-friendly garden tools. Here are five products that are made sustainably, that help preserve the planet’s precious resources or that encourage recycling and reuse practices. Composters turn garden and household refuse into nutrient-rich soil. 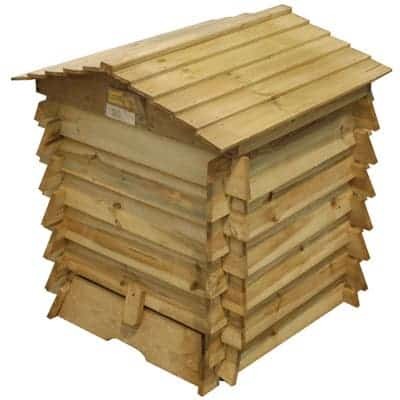 The Rowlinson Beehive Composter is made with pressure treated wood and resembles a beehive, making it an attractive and eco-friendly addition to a garden. It comes with a lockable handle that prevents pests and rodents from gaining access to the composter, and it guaranteed not to rot for 15 years. This starting kit for seeds and seedlings is made from biodegradable products. The trays are made from plant products and the growth medium is made from renewable coconut coir. 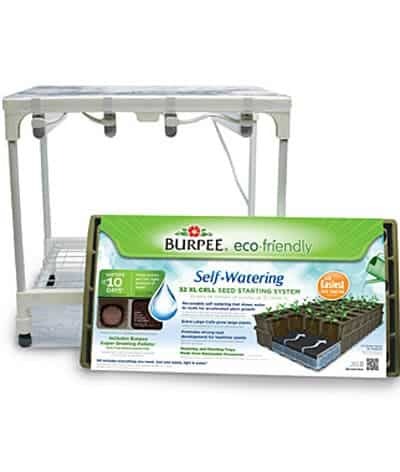 The XL Eco Friendly Ultimate Growing System comes with two 16-unit trays, a self-watering mat, two plant stands, wooden labels and organic fertilizer. A PVC-free garden tote is kinder to the environment. 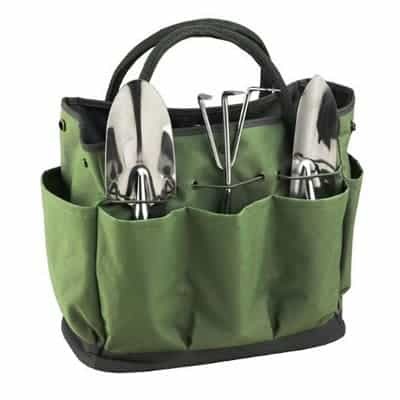 The Eco Garden Set features multiple pockets for gardening tools, as well as side pockets for a beverage or a snack. The kit comes with three different heavy-gauge stainless gardening trowels. When it comes to gardening products for children, it’s even more important to consider eco-friendly items that are free from harmful chemicals and compounds. This starter kit for children is made from recycled milk containers that contain no phthalates or BPA. 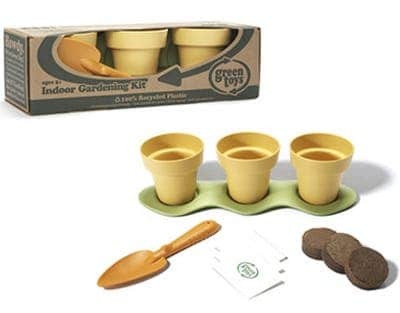 The Indoor Gardening Kit includes three planting pots, three packs of soil, a tray, a trowel and packets of zinnia, sunflower and basil seeds. A lawnmower that is powered by the energy of the sun helps cut down a homeowner’s energy bills and helps conserve the planet’s resources too. 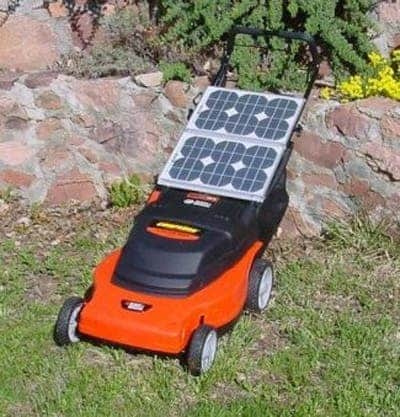 This Sun Whisper mower runs on solar power. When not in uses, the detachable solar panel is placed in a location where it will receive sunlight to recharge the mower’s battery. As no gas or electricity is needed to operate the mower, the Sun Whisper mower operates as quietly as a push mower.